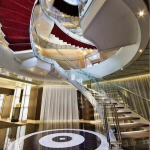 With their unmatched sense of style, elegance and grace, Seabourn ships beckon you to travel beyond the bounds of the imagination. 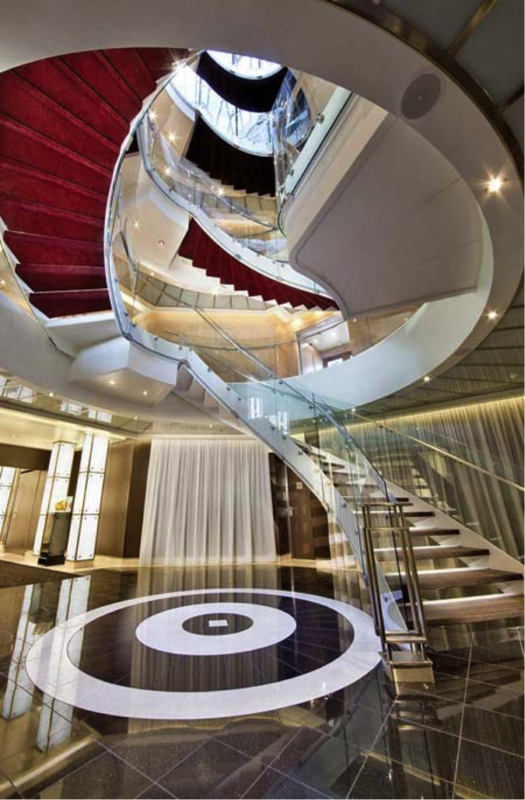 Aboard Seabourn, every desire is met promptly and with a welcoming smile. Whether it’s a warm blanket and a cup of gourmet hot chocolate as you drift along the Norwegian Fjords or a relaxing neck massage poolside, you’ll feel that you’re a member of a very exclusive club. Seabourn Pride, Seabourn Spirit, and Seabourn Legend carry just 208 privileged travellers to some of the most desirable destinations on earth in consummate comfort and sophisticated ease. 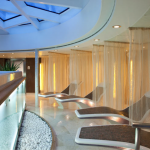 Seabourn Odyssey, Seabourn Sojourn and Seabourn Quest accommodate 450 guests, with the same personal feel and relaxed ambiance of their sisters. 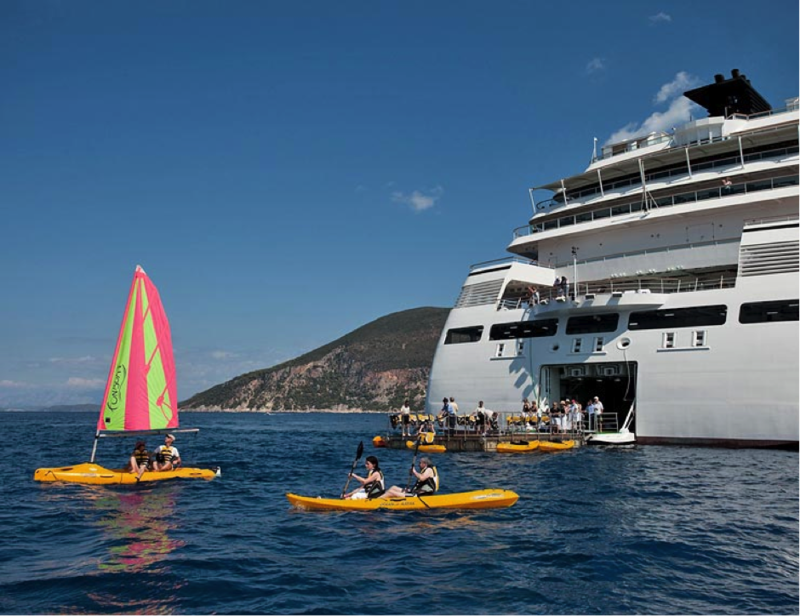 Perhaps best of all, each ship offers all-suite accommodations, Seabourn’s signature water sports Marina, an open-bar policy serving premium wine, champagne and spirits, and menus and renowned menus. 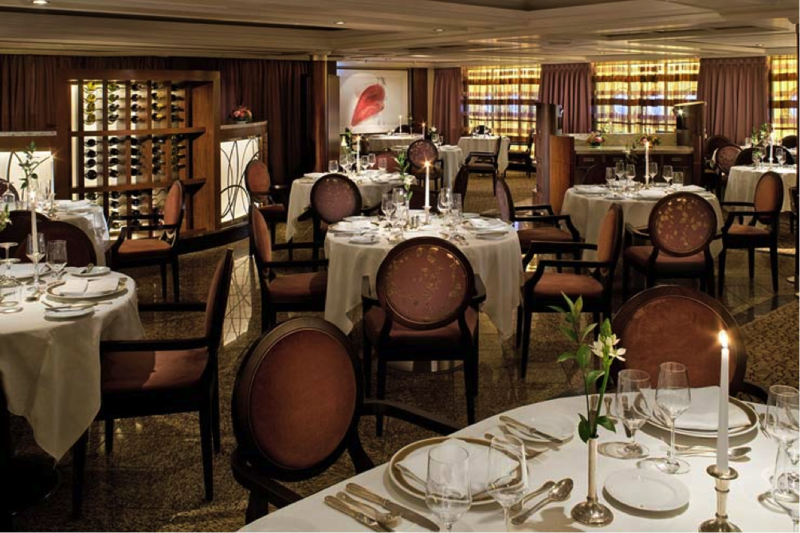 On board Seabourn Pride, Seabourn Spirit and Seabourn Legend every guest sails in an expansive, ocean-view. With open-seating dining accommodating all guests, and nearly everything is included in the cost of the fare. 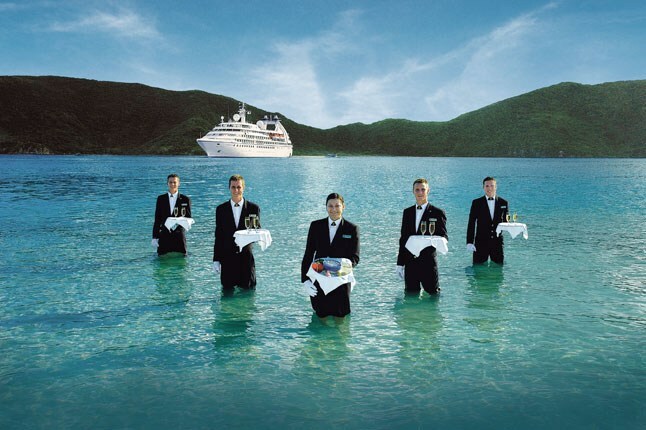 But the most important element of the Seabourn experience, to founding president Warren S. Titus, was the unparalleled level of personalized service provided to guests. Hand-picked staff, recruited from the finest European hospitality schools and hostelries, are re-trained and managed according to the philosophy that every request is a golden opportunity to create delight, that the unexpected pleasure is what truly makes an experience memorable, and that the rendering of the very best service is a product of professional pride, not influenced by the expectation of a gratuity. That remains a core value of all Seabourn ships today. 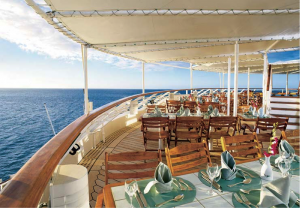 Seabourn Odyssey, Seabourn Sojourn and Seabourn Quest are virtually identical and all offer a variety of dining options to suit every taste and every mood, with never an extra charge. The Restaurant is the main dining venue on board, serving multi-course breakfasts, luncheons and dinners in an open-seating style amid a refined setting of gleaming white linens, polished alabaster walls, flowing sheer draperies and glittering crystal chandeliers. Menus reflect an insistence on fresh, high-quality ingredients, masterful preparation and appealing presentations. 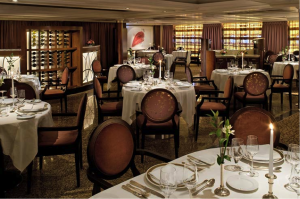 In a signature Seabourn salute to personalization, guests are invited to order from the Restaurant menu during extended service hours, and have their meal served in the privacy of their suites or on their verandas. Located all the way aft on Deck 8, the Colonnade is a more casual, very popular indoor/outdoor option serving lavish station-style buffet breakfasts and lunches. Dinners in the Colonnade are regionally-themed menus prepared in the open kitchen and served at table. Restaurant 2 is an intimate setting where guests can enjoy innovative small-plates tasting menus nightly by reservation. The Patio Grill is a casual alternative offering poolside dining for luncheons and dinners, as well as freshly baked pizzas from its on-site oven all afternoon. Festive beach barbecues are frequent highlights on warm-water cruises, with lavish steak-and-seafood grills and Seabourn’s Signature Caviar in the Surf event. 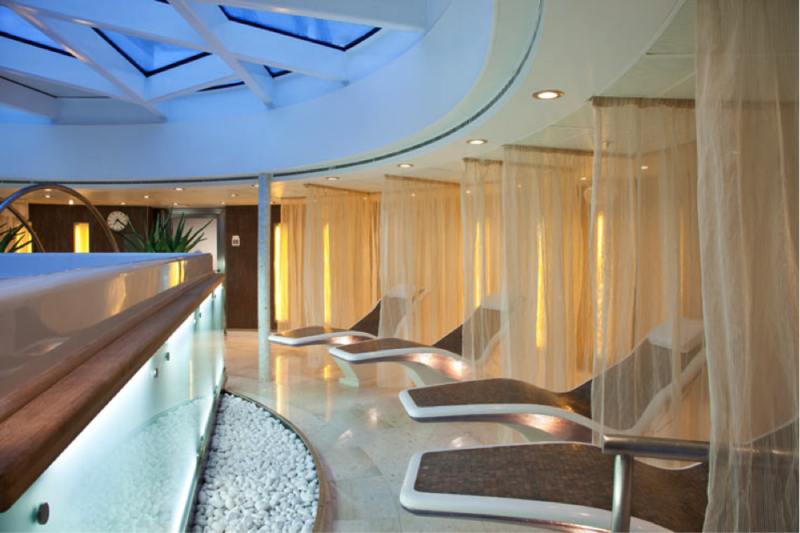 Seabourn Odyssey, Seabourn Sojourn and Seabourn Quest feature one of the largest spa facility on any luxury cruise ship, with six treatment rooms, a thermal area featuring a large hydro-pool, dry float, sauna and steam rooms, a full-service salon, well-equipped gym and a motion studio featuring a Kinesis Wall and Thai massage area.